when you absolutely, positively have to attract all the attention. the 3rd axle is just a dummy axle. It's interesting as a demonstration that some people have too much time and money on their hands, but I don't see any practical use for it. It's a good show of skill and a fun way of adding 3rd row seating? Maybe they wanted extra stability when towing their off road trailer? Either way it's interesting. But they should have figured out a way to drive the extra axle also..
$78,900 starting bid. Really? If this guy could patent whatever he’s smoking/snorting/injecting he could make enough money to buy the Sahara Desert to drive that thing in. Someone will drop they kinda $ just so they have something no one else has. It's amazing how much money people will spend too feel special!! rather have this, I could rip those seats out and actually have a bed that can haul things. 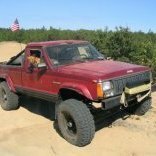 While adding on to the frame at the rear and installing a dummy axle is no small task, I'd actually be impressed and a fan if they had stretched the frame and kept it as 2 axles and essentially have a Jeep "Suburban". I don’t think the feeling I would get by dropping $79K on that would be special. I think it would be more like stupid. Having said that, there just may be an idiot out there who has more money than brains. It could be a great advertising tool. lord knows I'd notice the silly thing parked at a store. There are lots of people with more money than brains! Some have a ton of money some are just real low in the brains department! 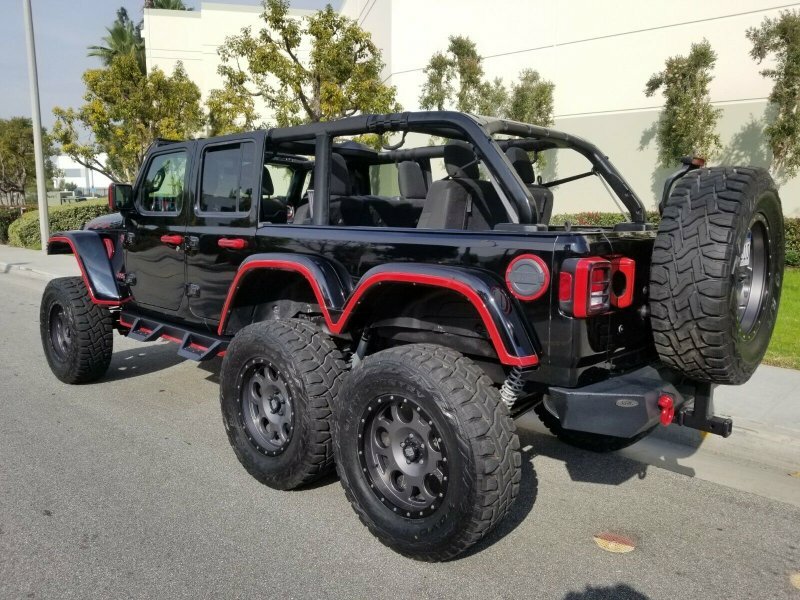 I'm really sick of seeing these 6x builds, not just with the Jeep. I know they are promotional builds and all, but they have no practical use for most people. One thing I have noticed is that these builds get people (reporters) who know nothing about cars/trucks/Jeeps to talk about them and marvel! The only place I could see this as being even partially practical is in the sand where flotation and traction are needed. Beyond that, they are stupid. My 2 cents.